Now that you’ve found your main squeeze, it’s time for the fun! Planning your bachelorette trip can be frustrating trying to get everyone to agree to the same location, hotel, and date of the trip. Don’t worry girl, we got you covered! We put together some tips, activities, and even an itinerary that can make planning any bachelorette trip to Vegas 10x simpler! ‍Get a Package Deal. Seriously the #1 tip we have if you want to have tons of fun like you see on all the movies! Vegas can get very expensive, very quickly, so buying a package, honestly is the best way to go. It allows you to try a little bit of everything without breaking the bank. We have multiple customizable packages that are a perfect fit for everyone. 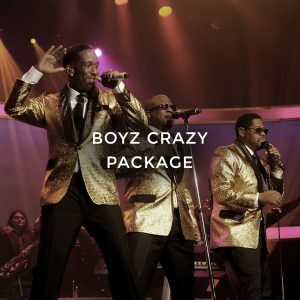 Head over to our packages page to choose a package that works for your group or customize your own! Beauty Packages: We know how crazy getting ready for a night out in Vegas can be, so we offer beauty packages with a mobile service. We come to your hotel room, which allows you to be able to get glamorous with minimal effort! Head to our beauty packages page to choose which beauty service best fits your group! Planning the airfare, attractions, and hotel details are only the beginning. Deciding what to wear and how decorate the hotel room are the other half of the bachelorette puzzle. We’ve linked the cutest items that will take any regular hotel room to a bachelorette party paradise! Arrive in Las Vegas and check-in to your hotel. – Look into your hotels “Mobile Check-In” options so you don’t have to waste precious party time waiting in line! Spend a little time getting settled in and unpack – You can also take this time to have some drinks and snacks in your room and exchange gifts. You may feel a little jet lagged from the flight, so this is also the perfect time to take a little break and get yourself refreshed before dinner. See a show! – Our favorites are Thunder from Down Under, Boyz II Men, and Human Nature. We can get tickets booked for you for any of these shows! Give us a call at 702.701.7778 to get more information! Drinks and dancing at a club! – If you’re not too tired, take this time for more fun! Head out for Drais, Light, and Marquee. Breakfast / Mimosas. – There are tons of restaurants that offer endless mimosas and a super yummy brunch menu. We love going to Chicas at the Venetian! They open at 8AM Monday through Friday and 10AM on Saturday and Sunday. We can even help you book reservations! Choose a day activity. – Vegas has tons of fun activities on and off the strip. Book a Grand Canyon Tour, head to the Hoover Dam, or just spend the day by the pool! We actually have a Pool Party Pass where you’ll receive VIP access to various pools. Head to our nightclub page to check it out! Have lunch – At Vegas Girls’ Night Out, we know all the best spots to eat at. We can even book your reservations for you, so all you have to worry about is getting there on time and having fun! Shop if you want – Fashion Show Mall, The Forum Shops at Caesars Palace, and Grand Canal Shoppes are 3 of our favorite places to shop at on the strip! Take a nap (trust us, you’ll need it / thank us for this one). Get ready / glammed up with our mobile beauty services. Head to dinner – The food in Vegas is the best! We have several dining packages that are perfect for dinner before the real fun begins. 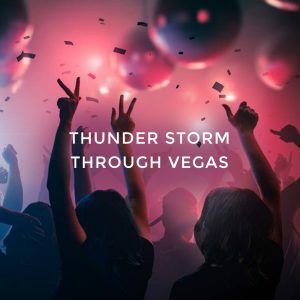 Nightclub crawl – If you’re looking to have an insanely fun time on your Vegas trip, booking a nightclub crawl is a must! Arrive to the nightclubs in style with a party bus transportation, complimentary vodka and Bacardia Rum drinks on the party bus, and admission to 3 nightclubs. Head to our nightclub page to book your nightclub crawl! Shop – You’re in Vegas…so treat yourself, right? Pack clothes – At this point, you’d think it would be time to wind down and get ready to head back home, but we recommend getting all packed up and then heading down to the casino for one final gambling spree + drinks with the girls. Head to the airport – You’d think this would be the worst moment of the trip, but the Vegas airport has slot machines and liquor, so basically it’s a whole other party, right girls? Tag us in your photos! – Once you get home, we definitely want to see all your photos. Make sure to tag us on Instagram, @vegasgirlsnightout or Facebook (Vegas Girls Night Out) and give us a review on Yelp!